The publications are issued between 2012 and 2014. Jung H, Jang S, Seok J, Kwon S (2014) Quality monitoring of long-term care in the Republic of Korea, in Vincent Mor, Tiziana Leone and Anna Maresso, edit, Regulating Long-term Care Quality: An International Comparison, Cambridge University Press, 385-408. Kwon S, Richardson E, (2013) Mongolia Health System Review, Asia Pacific Observatory on Health Systems and Policies. Kim H, Kwon S, Yoon N, Hyun K (2013) Utilization of Long-term Care Services under the Public Long-term Care Insurance Program in Korea: Implications of a Subsidy Policy, Health Policy 111: 166-174. Jeon B, Kwon S. (2013) Effect of Private Health Insurance on Health Care Utilization in a Universal Public Insurance System: A Case of South Korea, Health Policy 113: 69-76. Kwon S, Lee Y, Ikegami N. (2013) Private Health Insurance in Japan, Republic of Korea and Taiwan, in Elias Mossialos, Sara Thompson and Robert Evans, edit, Private Health Insurance and Medical Savings Accounts: Lessons from International Experience, Cambridge University Press, forthcoming. Kim E, Kwon S, Xu K. (2013) Has Income-related Inequity in Health Care Utilization and Expenditure been Improved? : Evidence from Korean National Health and Nutrition Examination Survey of 2005 and 2010, Journal of Preventive Medicine and Public Health 46: 237-248. 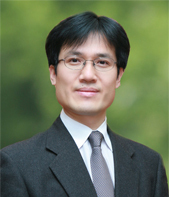 Kwon S, (2012) Coverage Expansion and Cost Containment in the Republic of Korea, in Benedict Clemens, David Coady and Sanjeev Gupta, edit, The Economics of Public Health Care Reform in Advanced and Emerging Economies, International Monetary Fund: 221-232. Kwon S, Meng Q, Tangcharoensathien V, Limwattananon S, James C. (2012) Direct Household Payments for Health Services in Asia and the pacific: Impacts and Policy Options, Asia Pacific Observatory on Health Systems and Policies. M Son, Y Cho, J Oh, I Kawachi, J Yi, S Kwon. (2012) Social inequalities in life expectancy and mortality during the transition period of economic crisis (1993-2010) in Korea, INTERNATIONAL JOURNAL FOR EQUITY IN HEALTH, 11(1): 71-. Heo J, Oh J, Kim J, Lee M, Lee J, Kwon S, Subramanian S, Kawachi I. (2012) Poverty in the Midst of Plenty: Unmet Needs and Distribution of Health Care Resources in South Korea, PLOS ONE, 7(11): e51004-. 서수경, 권순만, “실무간호사 수요와 관련 요인: 미국 캘리포니아 사례,” 보건경제와 정책연구 (20:1), 2014, 21-37. 김재원, 권순만, “지역별 고용 불안정이 청년자살률에 미치는 영향,” 사회보장연구 (30:2), 2014, 117-141 (교신저자). 허종호, 김주경, 오주환, 권순만, “보건의료 분야의 의제 설정과정 분석: 영유아 국가필수예방접종 지원정책과 세계보건기구 담배규제 기본협약에 기초한 금연정책의 비교,” 보건과 사회과학, 35집, 2014, 55-86. 정연, 권순만, “지적재산권 강화에 따른 제약시장의 변화와 의약품 가격 및 이용에의 영향: 5개 국가의 사례를 중심으로,” 한국사회정책 (21:2), 2014, 183-228 (교신저자). 손창우, 권순만, 유명순, “정책전문가의 인식을 통해 본 한국 보건의료정책 거버넌스: 신포괄수가제 사례에 관한 심층 면접 결과,” 보건행정학회지 (23:4), 2013, 326-343. 전보영, 권순만, 김홍수, (2013) 치매, 중풍 노인의 장기요양서비스 이용 현황과 이용수준 관련 요인, 보건행정학회지 23(1): 90-100. 전보영, 오주환, 권순만. (2013) 민간의료보험 가입 변동이 의료비 지출에 미치는 영향, 사회보장연구 29(2): 261-288. 윤난희, 권순만. (2013) 비만이 의료이용과 의료비용에 미친 영향, 보건경제와 정책연구19(2): 61-80. 김명화, 권순만, 김홍수. (2013) 노인의 장기요양이용이 의료이용에 미치는 영향, 보건경제와 정책연구19(3). 김홍수, 권순만. (2012) 노인장기요양보험 이용자 및 급여비 중장기 추계, 보건경제와 정책연구, 18(3): 29-51. 권순만, 오주환, 정연, 허재헌. (2012) 시민위원회와 건강보험 보장성 의사결정 사례, 보건경제와 정책연구, 18(3): 103-119. H Kim, K Cho, S Kwon, J Lim. (2012) The Effect of the Increase in Tobacco Price on Adolescent Smoking in Korea: Smoking Reduction and Brand Switching, 보건사회연구, 32(3): 429-460. 유명순, 이근찬, 윤혜정, 권순만. (2012) 한국 병원 최고경영자의 책무성 인식: 심층면접 결과를 중심으로, 보건행정학회지, 22(4): 619-649. 권순만, 유명순, 오주환, 김수정, 전보영. (2012) 보건의료 정책 의사결정과 시민참여: 건강보험 보장성 시민위원회 사례, 보건행정학회지, 22(2): 673-702. 전보영, 권순만. (2012) 의료비 지출 경험이 민간의료보험의 가입 변동에 미치는 영향, 보건경제와 정책연구, 18(4): 65-84.